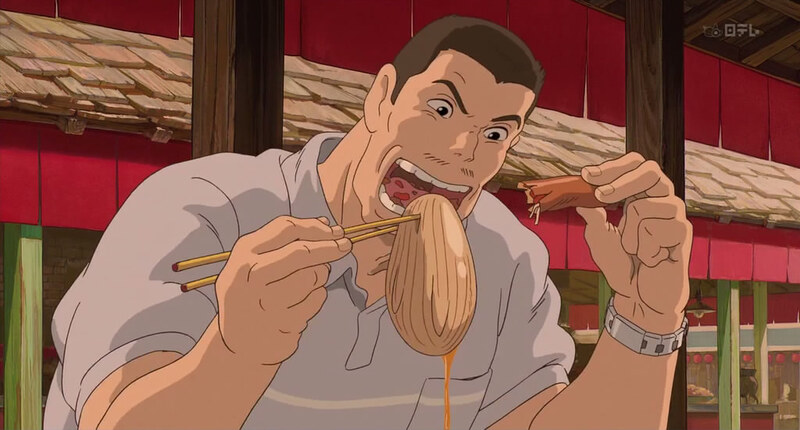 We see Chihiro's father eating some soft, almost gelatinous blob that seems to have fins or something. Is this an actual food item? If so, what is it? If not, is it based off any real life dishes? 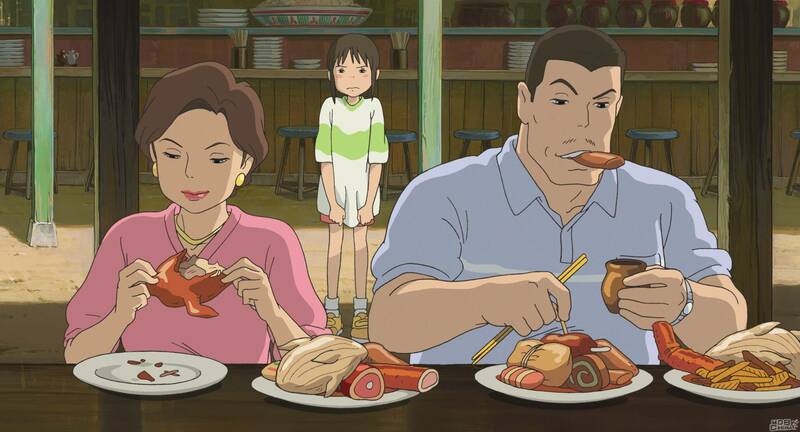 It appears that the food was noted as "lamb stomach" (haggis or similar) at the Studio Ghibli Layout Designs exhibitions. 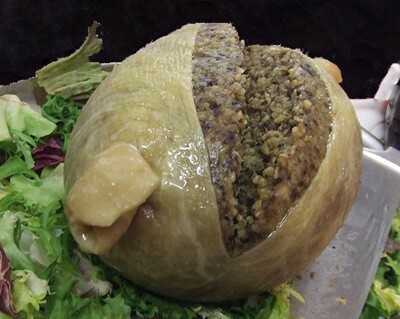 The "fins" are where the haggis is sewn or tied. so the food has a juicy filling and "dozes off" like a lamb stomach. While the description doesn't tell us the name of the food, it likens it to, and probably is, a lamb stomach. Perhaps you've been told that the food is ba-wan, a Taiwanese street food. Perhaps you've been told that the town from Spirited Away is modeled after Jiufen, a tourist attraction in Taiwan. They are at best misinformation and at worst disinformation propagated by travel agencies and shopkeepers to increase sales. Hayao Miyazaki has denied twice, once in the TVBS news interview, and once more in the CTi news interview that Jiufen was an inspiration for the film's settings. What were really the inspirations and/or models for the settings are listed in this well-researched article: the Dougo Onsen, the Edo-Tokyo Open Air Architectural Museum and Meguro Gajoen being the officially confirmed places. Not the answer you're looking for? Browse other questions tagged spirited-away or ask your own question. 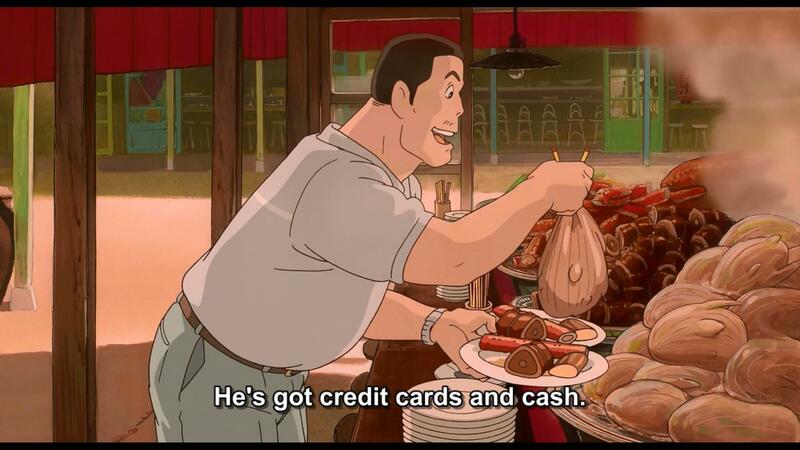 What purpose does the train, pictured in the Spirited Away movie, actually serve in the ghost world? What does the original Japanese title of “Spirited Away” mean?